In the Colette Patterns Handbook, you’ll find the lovely Licorice dress pattern. It comes with a long tie belt. For this tutorial, I’ll show you how to make a fabric covered belt with a buckle to replace the tie belt. 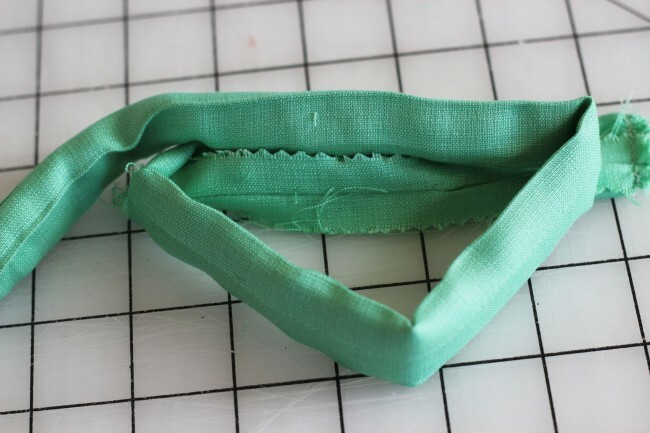 Casey wrote an excellent post on making fabric covered belts. This tutorial is showing you how to make them a little bit differently. Take a look at both to find the one that works for you. If you have any belt making tips, please tell us in the comments! Belting material is ideal for making your own belt because it is very stiff like a store bought belt. 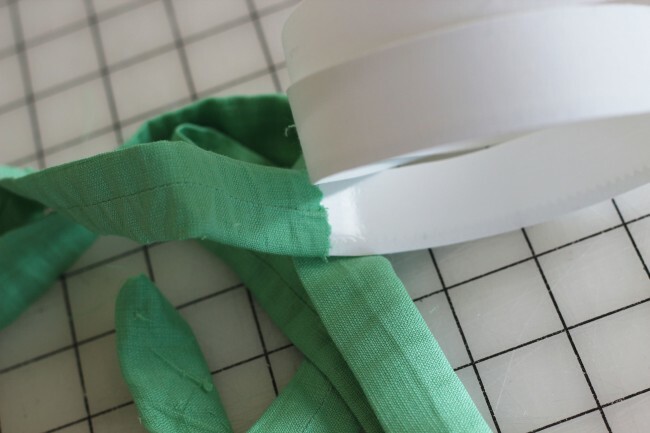 If you can’t find any, use a thick, stiff interfacing instead. Fashion Fabrics Club sells belting by the box, but there’s quite a bit of it, so maybe you and a friend could share it! 1. With your coordinating garment on, measure the width of your waist or the place where you will wear your belt. Add a few more inches so that it will pass through the buckle. If you add eyelets, you’ll want it to be longer than a short belt. 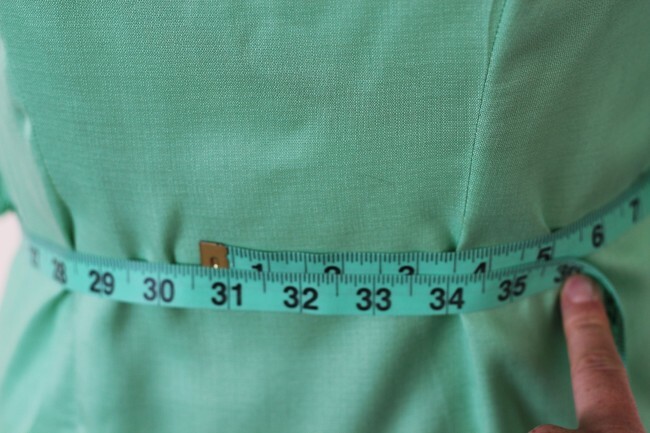 Play with the tape around your waist to find the ideal length for you. This will probably be at least 6″ longer than your waist measurement. 2. 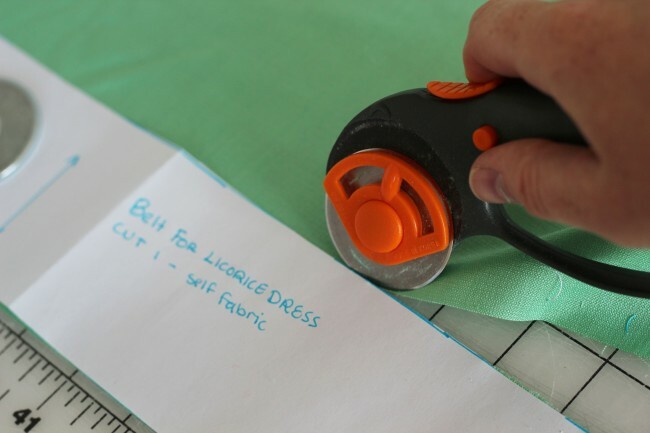 Once you’ve found the measurement you want, cut out a piece of belting or interfacing that length. Note: measure the inside of the buckle to find the correct width. You may need to cut the belting width down. 3. On a piece of paper, draw the length of the belt plus 1″. Double the width of the belting and add 1 1/2″ (5/8″ seam allowance). 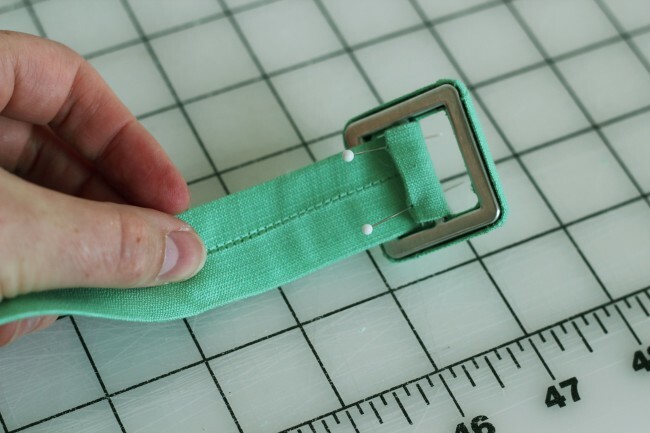 For this belt, we multiplied 3/4″ x 2 = 1 1/2″ then added 1 1/2″ seam allowance = 3 1/2″. 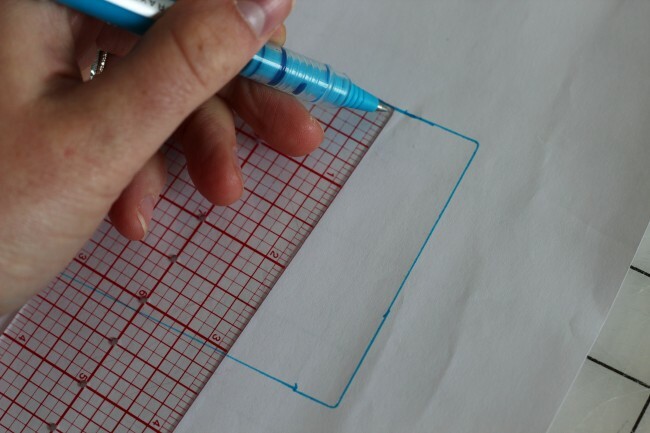 Draw a 3″ width on the paper. 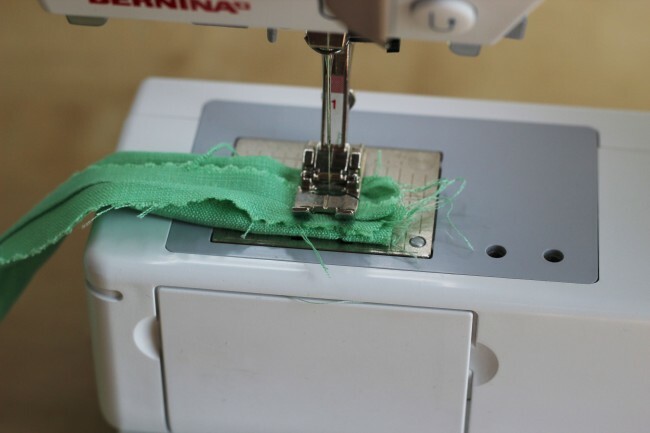 If you want a smaller seam allowance, go ahead and add it here instead of 1 1/2″. Finish drawing the belt pattern piece. 4. Cut out the fabric with the piece you just made. 5. Fold the fabric in half and sew down the length of it. Note: if you don’t have belting and are using interfacing, cut the interfacing as you would belting. 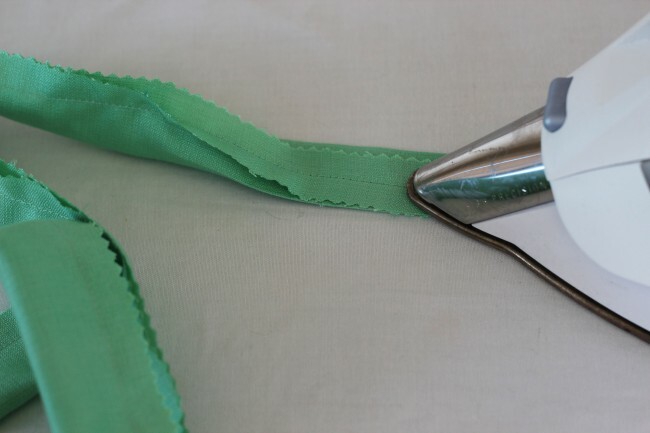 Before folding the fabric in half and sewing, iron the interfacing to the middle of the wrong side of the fabric. 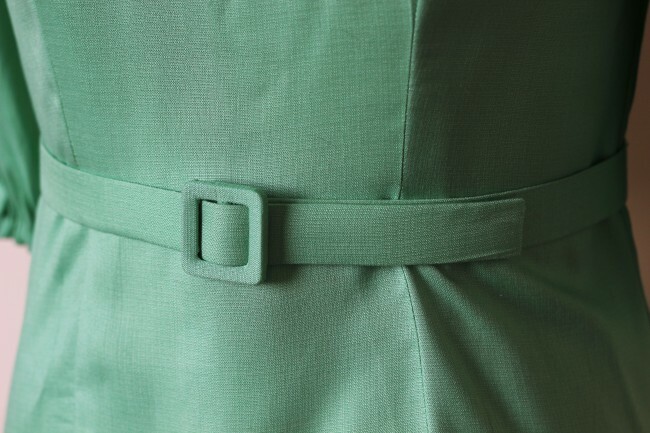 Your belt will be very pliable because interfacing is not as hard as belting. 6. Trim and press the seam allowance flat. Make sure the seam is in the middle of the belt. 7. 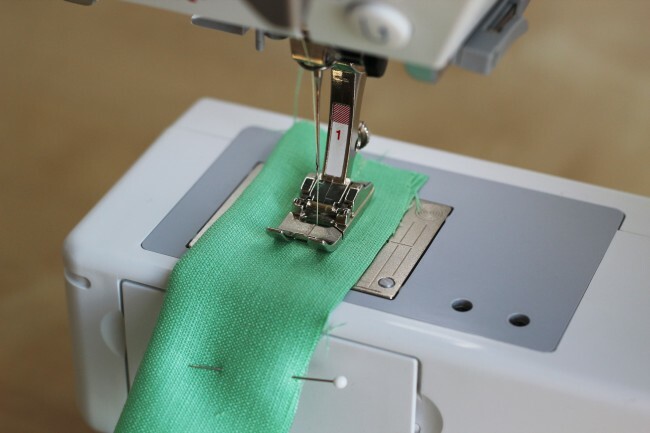 Sew a straight line, or curved or triangular depending upon your fashion idea, along one edge. Trim the seam allowance. 8. Pull to the right side. 9. Press flat. Insert the belting. Make sure the seam is center on the back of the belt. It will take some time to push the belting through. 10. Iron the belting, making sure the seam is in the middle. 12. Once the belting is in place, it’s time to add the buckle. If you’re using a fabric covered buckle kit, follow the instructions. 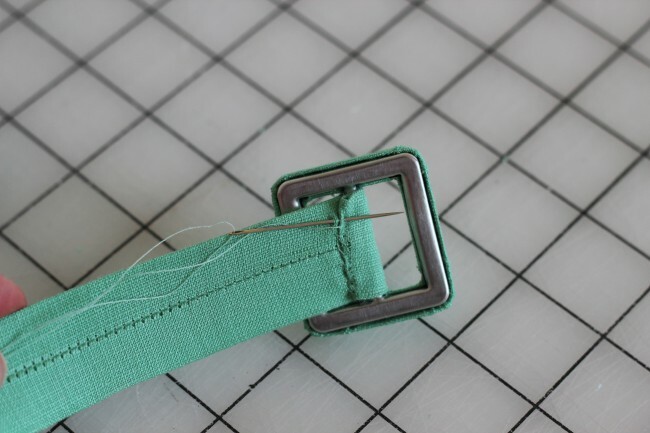 To add the buckle, fold the extra bit of fabric at the end of the belt through the buckle. Pin the fabric in place. 13. With the edge folded under, stitch in place. Thread Loops: Learn to make easy thread belt loops! This is awesome! Question, though. Do you think I could do snap or button closures instead? 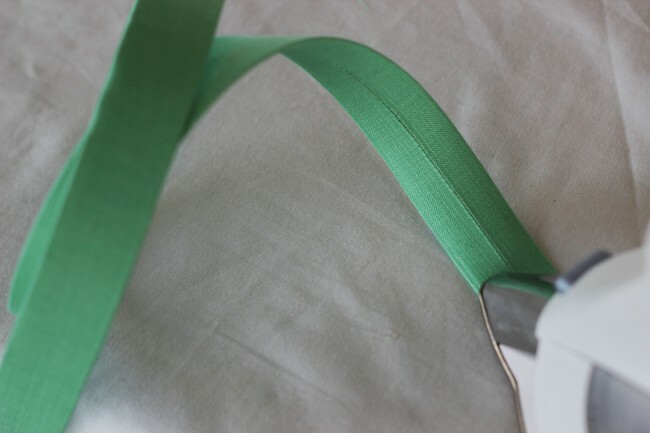 Another way to sturdy a belt is to sew the belt first and turn it right side out. Measure the width of the finished belt and cut two pieces of craft bond or deco bond that width and the length of the belt. Using a large safety pin, thread the two layers of deco bond or craft bond through the turned casing, and then fuse. This avoids the ‘crunchy’ thing that happens when turning the belt right side out, and makes it so much smoother. 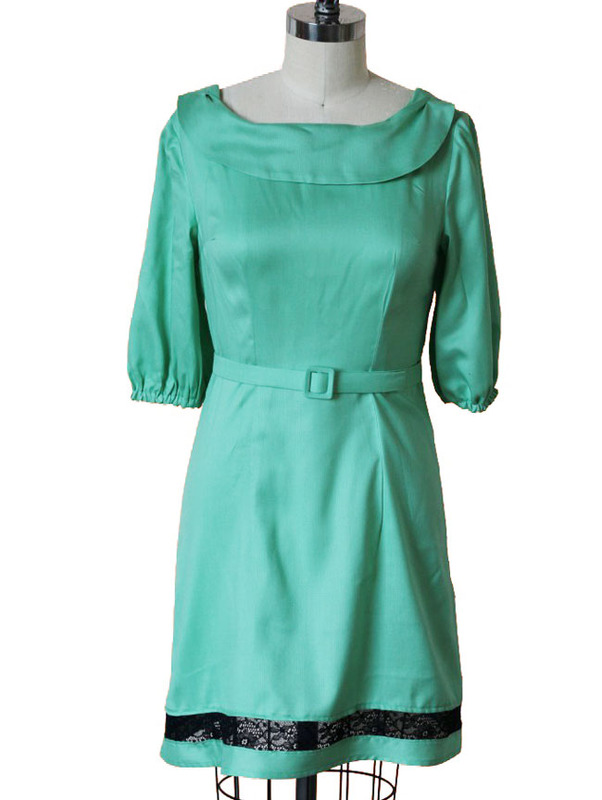 This is perfect, I’ve been meaning to make matching belts with some of my dresses! Thanks for the tutorial! thank you Caitlin, and thank you Renee! Thank you SO much for this! I have a number of vintage patterns–like the one in Renee’s avatar!–that call for a “self-belt” but of course none of them explain how one goes about making one. I figured it must not be too difficult since they assume the sewer knows how, but um, I am not that sewer. So excited to do this to turn a basic tank dress (I’m a beginning sewer/sewist so straight lines and rectangles for me for now!) into a belted blousy sundress! Do you have any favorite sources for the covered buckle kits like the one you use here? Question. How would you turn this long fabric strip right side out? What tool do you use? Where did you get your belting from? I have ben looking for some and can’t find any. Please help! I am looking for 3 ” belting to cover. Wow, thank you for this post. I do a lot of restoration of vintage dresses and mostly the belts are missing. This is exactly what I’ve been looking for.